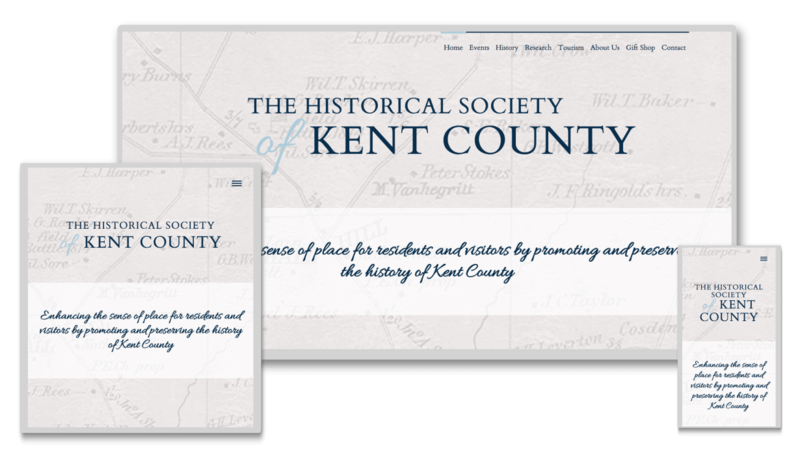 The Historical Society of Kent County, is a non-profit organization dedicated to the collection and preservation of artifacts, documents, and information that aid in the interpretation of all aspects of Kent County’s history. 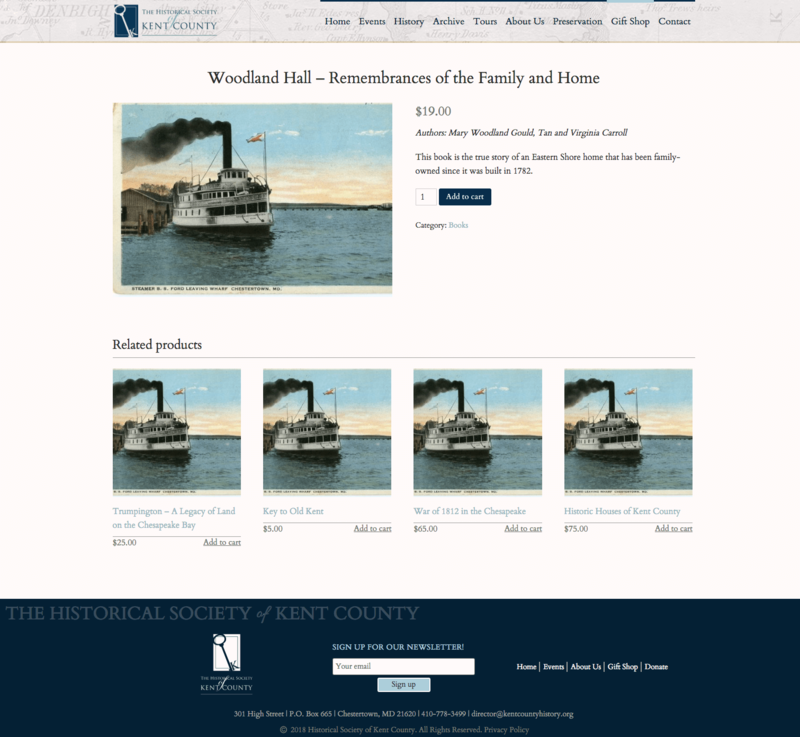 To better connect with the community and keep the storied-history of the community alive, the society asked us to design and develop a website that would be easy to update and manage, and promote the history of Kent County. 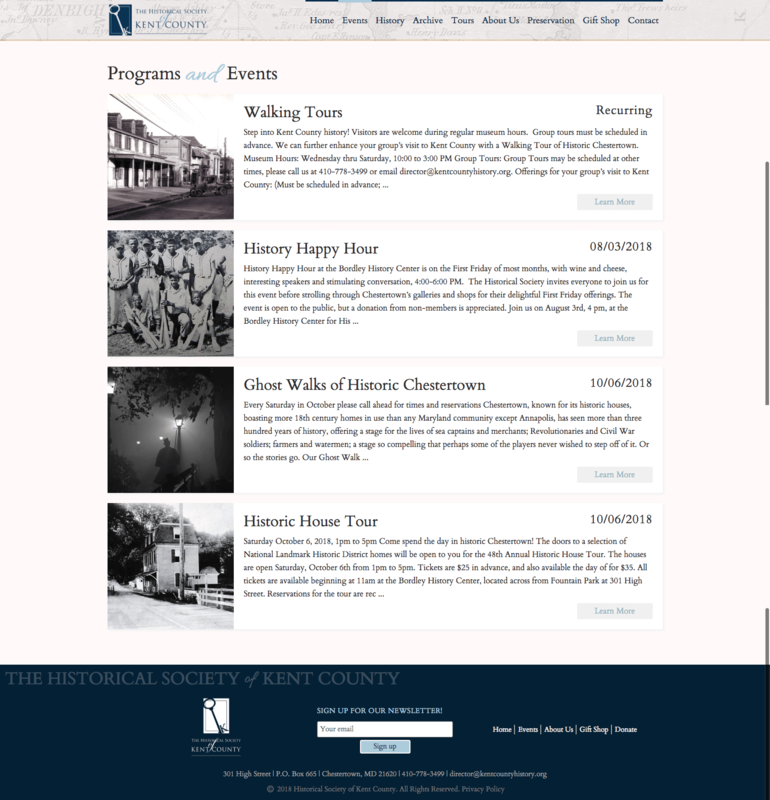 The Historical Society has a vast directory of photographs, postcards and maps and it was clear to us that we needed to dive into the directory and pull out as many items as we could for the design of the new website. The society also had a story that they wanted to tell of the history of the county and a desire to not use the website only for news and information. We centered the website design around the use of historical photos, maps and other visuals to draw interest and to create a human-element to the society. 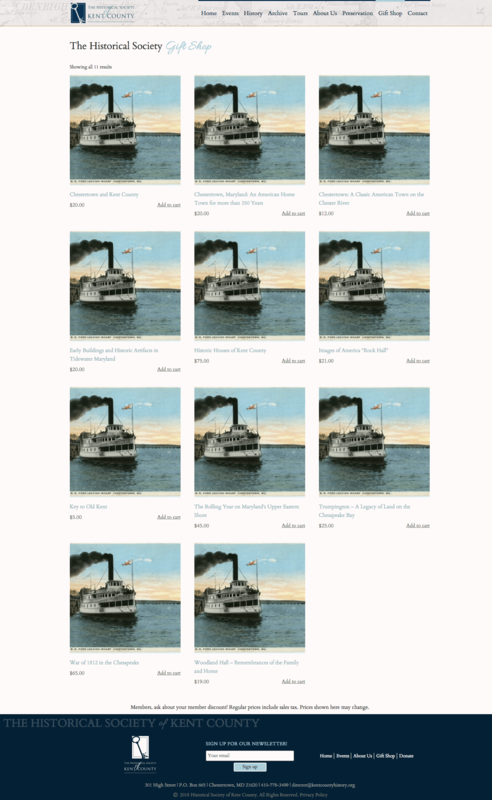 The content was also divided among different tabs on each page to allow for easy browsing of content without needing to refresh the page. An online gift shop was also created along with online event registration and payment for events. Combining this functionality on the website will allow for easier management by the society going forward. Like all of our website development projects, the site was launched being fully search engine optimized and connected to Google Analytics for tracking and set up with an SSL certificate for security.